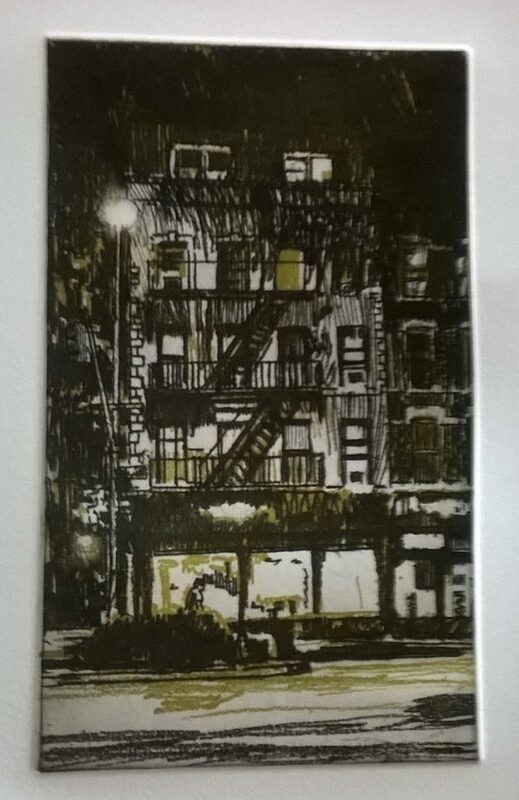 I took the inspiration for my print from this photograph of a night street scene in Manhattan. 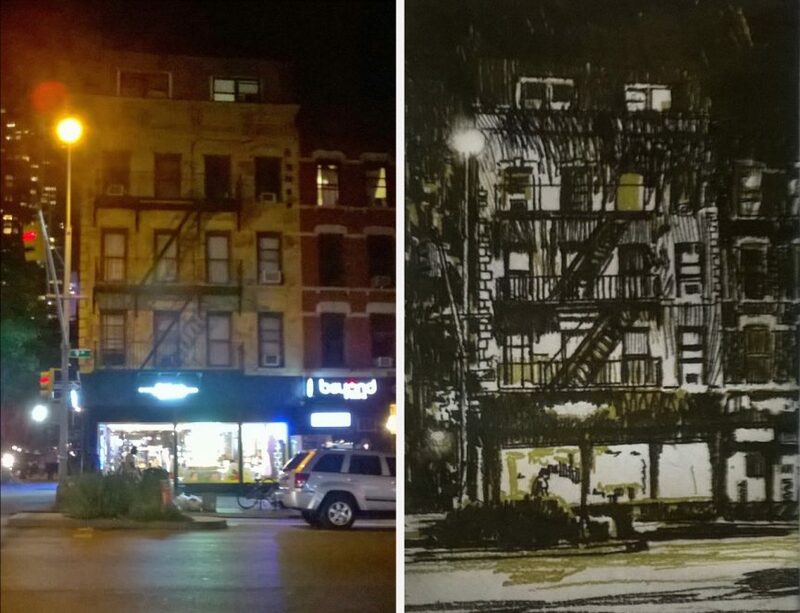 I took a number of night time photographs around Manhattan and chose this one with the intention of doing a series of night prints but to date this is the only one! 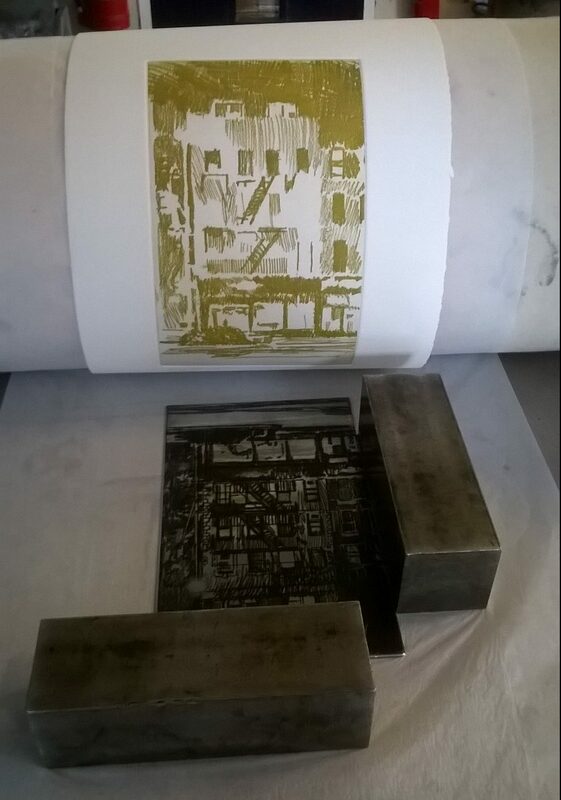 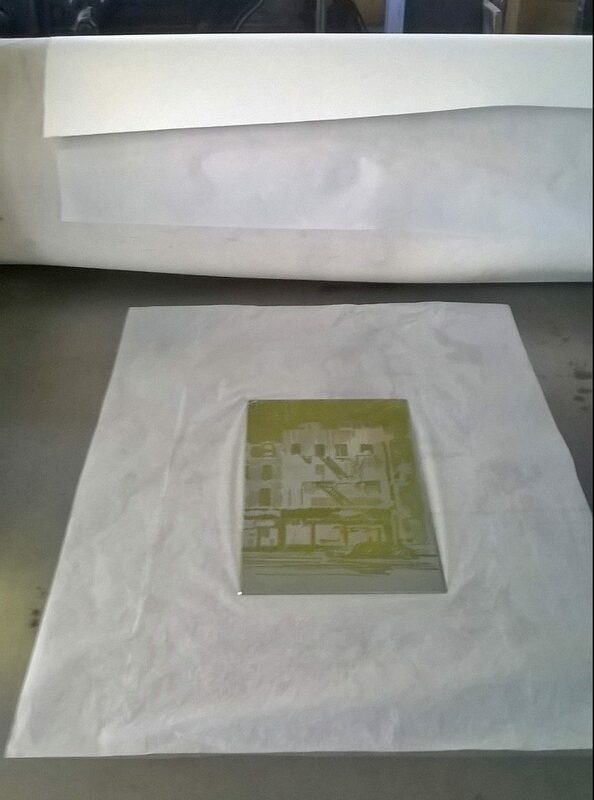 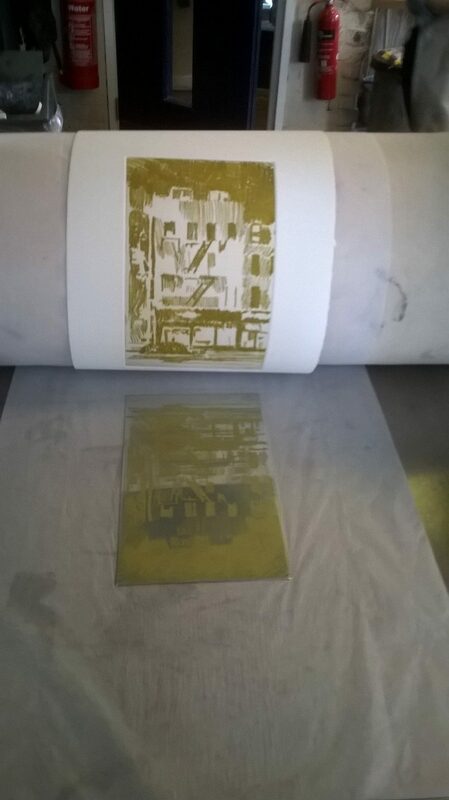 I wanted to introduce colour and so decided to do a two plate etching one in a yellow colour to convey the night time fluorescent lighting and then the black plate with the main drawing. 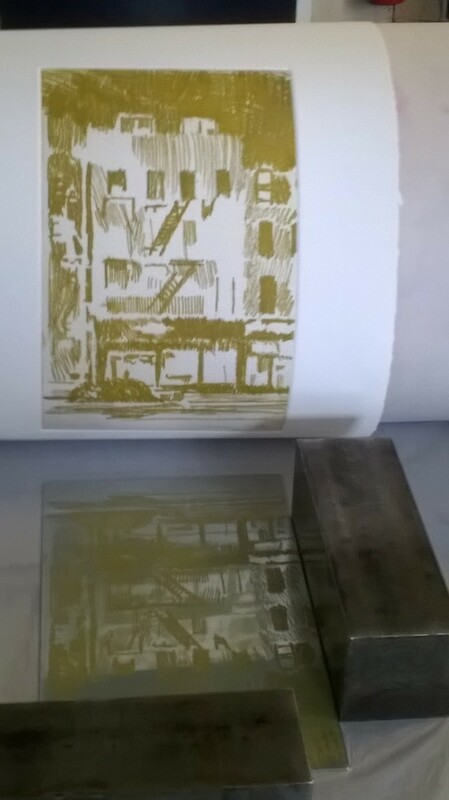 I used softgrounds which is a wax covering on the plate to do the drawing, and did some burnishing to convey the light from the street lamp.